New Jersey's 2017 Halloween Season was jam packed with horror that thrill seekers were hungry for all year long. From Haunted Houses and Trails, to Zombie Shootouts, Haunted Corn Mazes and Hayrides, the haunting season has so much to offer locals, no matter where in The Garden State you reside. With a staggering amount of haunted attractions, it's not always easy to choose which ones you and your bravest friends will take on. To make things a bit easier for New Jersey haunt goers, Haunts.com has created a list of Must See Haunted Attractions throughout the state. These attractions have received a number of great reviews from customers who experienced the heart pounding fun for themselves, along with outstanding ratings for the 2017 Halloween Season. Check out the list below and start preparing for your 2018 haunting journey! Located at the Brookdale Performing Arts Center in Lincroft, the Haunted Theater comes to life as the location is transformed into a thrill seekers worst nightmares. Visitors will embark on a horrifying journey that will take about 15-20 minutes, with the creepiest of creatures around each corner. What is unique about the Brookdale Haunted Theater is that their students are the ones who come up with the Halloween Season scares. They even design and build everything themselves! Do you have what it takes to enter the Haunted Theater and find out what the students have stirred up for 2018? Livingston's Bane Haunted Attraction isn't for the faint of heart. Enter this haunt and explore 40,000 square feet of non-stop heart pounding fun. Visitors will experience a truly interactive haunted house where their very worst fears are sure to be put to the test! Be prepared to come face to face with some of the creepiest of creatures, since Bane only uses live actors to deliver the terror! No one is really safe upon entering Scary Rotten Farms, where thrill seekers can brave two different haunted attractions at one scary good location. Attractions include Sinister Sneed's Chaotic Carnival of Chaos and Blackened: The Plague! Both are sure to get your blood pumping - that is, if you can make it through each of them! Stories say that a local farmer once entered his cornfield to collect the harvest and was never seen again. His body parts were found though, scattered about the cornfield. Every Fall, locals say they can hear the farmer screaming when the moon is out. Will you be able to handle each terrifying turn of the Cornfield of Terror? At BloodShed Farms, thrill seekers can enjoy four unique Haunted Attractions, all in one great location. There's the Hellsgate Asylum, which is a mental institution dating back to the 1950s, the Trail of Terror that takes visitors through a 1/2 mile corn trail walk, Clown-o-Phobia, a walk through with tons of creatures hiding throughout, and the Last Ride Haunted Hay Ride. This unique haunted attraction in Vincentown features a twisted maze through bamboo, infested with creepy creatures and monsters throughout. 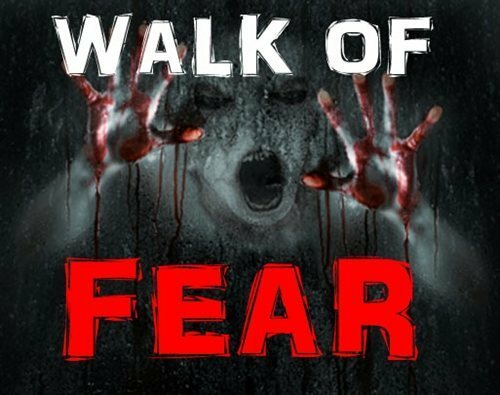 Along with the maze, Bamboo Gardens Walk of Fear also offers the Twisted Dreams House of Pain, Spooky Trail of Darkness, Blacklight Forest, Blood Beach, Toxic Tubes, 3D Haunted Hallway, and much more! As soon as you enter Brighton Asylum, your senses are put to the test. With extreme detail and true interactive scenes, visitors will experience The Tunnel, The Brighton Asylum, and can choose from four escape rooms (or you can try them all!) Escape Rooms include 1408 Escape, The Tomb, The Device and Bomb Squad, and Zombie Attack. 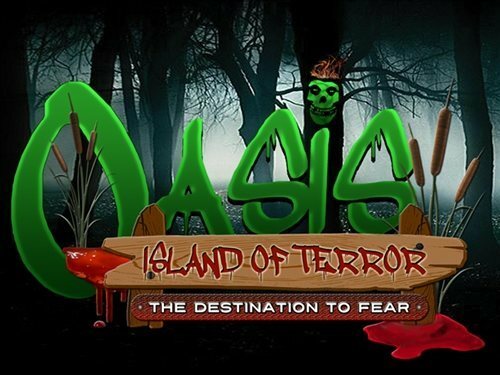 Enjoy over a mile long of haunted trails at Oasis Island of Terror, where their realistic walkthrough attraction will have you screaming out in fear! Beware with each step you take, you never know what or who is lurking throughout! And for those who enjoy the Fall time fun, daytime family friendly activities are also offered at the farm! At Brighton Asylum, visitors not only have the opportunity to make their way through the demented asylum infested with patients who aren't so happy to be there, but they get to experience The Tunnel attraction, too! The Tunnel is where all the scary good fun begins, and then visitors will wait on a separate queue line before entering The Asylum. Will you and your friends be able to handle both horrifying attractions?! Find out this Halloween Season! Get up close and personal with the monsters that call Cicconi Farms their home and enter the Nightmare at Gravity Hill! Local legend says there are a number of eerie stories surrounding the hill, and when people decide to take their chances visiting, they experience strange activity. Grab some of your bravest friends and explore Gravity Hill and find out why the place is such a nightmare! Carnivals are usually a place where those of all ages can have a great time. But The Dark Carnival is the exact opposite! Enter and meet some of the biggest freaks in Bayville, including Morbus, The Aquatic Fish Boy, Algano, the Amphibious Lizard Man and their greatest attraction - Mongo the Human Mutant! This haunted village offers ten acres of scares! First, haunt goers will enter The Red Mill before exiting and hopping on The Haunted Hayride that awaits. The vintage tractor will take visitors into the deep, dark acres where The Haunted Village sits. Once you've made it through the Village, you'll journey through the haunted maze and a vortex of complete terror! V&V Adventure Farm of Shamong offers a ton of scares for the Halloween Season. Take on a number of nighttime haunted attractions while visiting, including The Jersey Devil Haunted Walk Thru Corn Maze, Zombie Invasion Shootout Hayride, Flashlight Cornmaze and Hayride, S'Mores and more! Looking for More Scary Good Fun in New Jersey? Check Out Haunts.com's New Jersey Haunted House & Attraction Guide Here!